Masterfully composed from patches of rich raw-silk stiched together and an intricately embroidered pomegranate design. 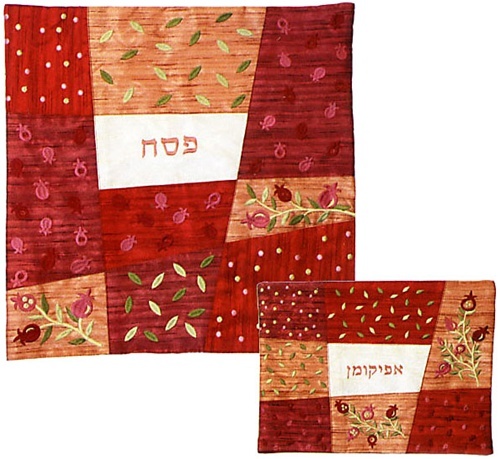 Matzah cover includes 3 sleeves for the matzot. Size: Matzah cover 16" x 16" , Afikomen bag 8" x 12"